A gem, maybe not so hidden, but truly a gem. 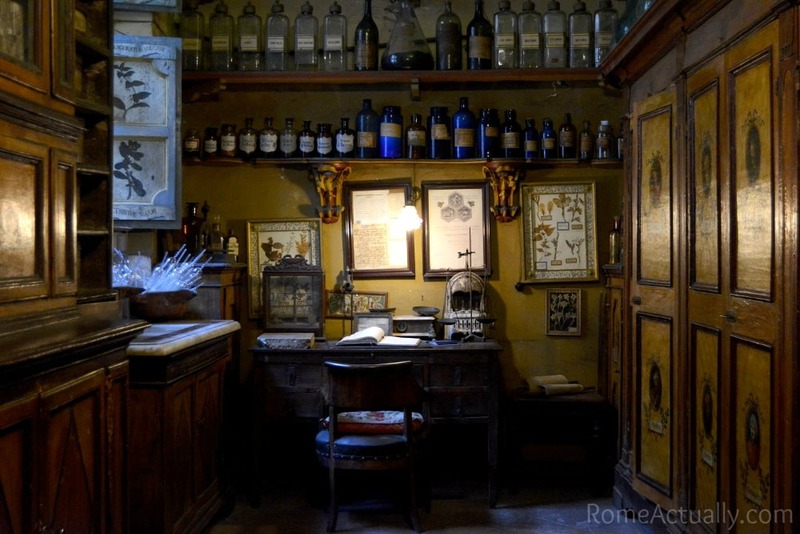 The ancient pharmacy Santa Maria della Scala in Rome’s Trastevere neighborhood has been serving customers and healing patients from the 16th century up to 1954, when the friars who were managing it stopped growing their own herbs and spices in the backyard of their monastery. Located in the first floor of the ancient monastery, just like back in the days visitors are welcome to the pharmacy Santa Maria della Scala by a friar, a Discalced Carmelite, who introduces them to the world of old drugstores, herbs, potions, unguents, balms, oils, clay and any type of raw material as their philosophy was that anything that was created can be used to heal the human being. In a nutshell, they were making precious use of the natural remedies we have gradually lost and that we are gradually trying to get back to (yours truly included). As soon as you step over the gloomy threshold, you are whirled back to centuries ago and almost can smell some of the lotions the friars used to prepare for themselves, the Popes and also the ordinary people since the end of the 17th century when it was open to the public. The Discalced Carmelite friars reached such a high level of expertise in the study of botany, chemistry and medicine that they were appointed as the “pharmacy of the Popes”. From chest infections to allergies to rheumatic disorders, the old pharmacy Santa Maria della Scala, equipped with labs, sterilizing machine and stocks of all possible remedies and wisdom coming also from the Orient, treated it all. Being the drugstore of a monastery, alongside the worldly medicine, the friars didn’t miss to point out, right at the entrance with a sign in Latin, that the real cure comes from the Lord’s word. Gradually, the Vatican decided that this ought to be the pharmacy for everybody, not only the noble families, because it was close to the Tiber river, back then prone to floods that made the whole area marshy, hence causing plagues that decimated the population. Medicines were very much needed among the ordinary people so this became also the pharmacy of the poor distributing drugs and remedies for free to the needy. In 1870 Rome became the capital of the Italian Kingdom and many goods of the Discalced Carmelite friars were confiscated, monasteries included. Santa Maria della Scala monastery became a kindergarten and the old pharmacy shifted from the Popes to the royal family, becoming Europe’s oldest pharmacy. This ancient health sanctuary is truly a hidden treasure in the heart of Rome, hidden because it’s very easy to miss its little entrance door, but mercifully located in one of the most popular neighborhoods, Trastevere. So if you are staying for more than three days, this is definitely one of the places to visit in Rome. Farmacia Santa Maria della Scala is located in the first floor of the Discalced Carmelite monastery in Piazza della Scala 23 near Santa Maria della Scala church. It can be visited only by booking and you can do it directly with the friars calling them at 06.8414209 or with a tour. 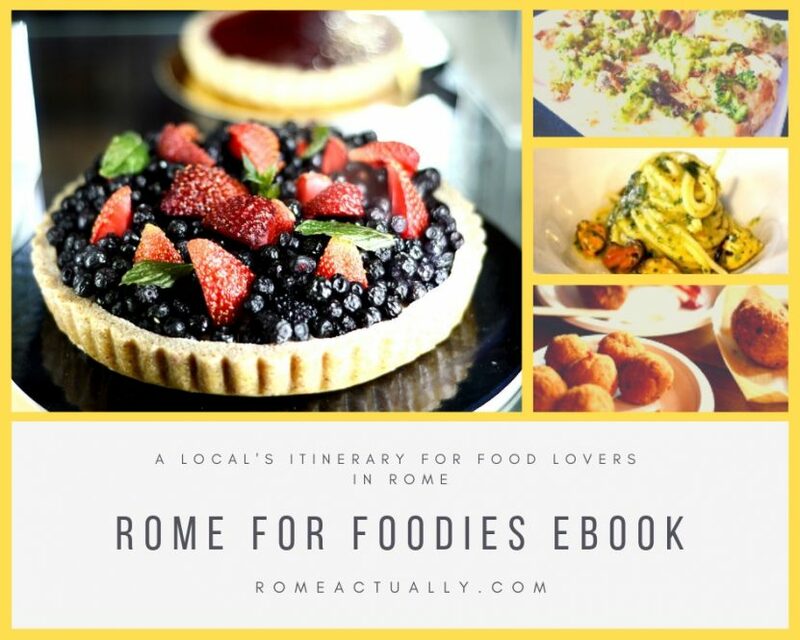 I went with MeetinRome, you can find and book them here http://meetinrome.guide/.